Enjoy a 2 hour Sundowner cruise in Airlie Beach harbour this evening on your purpose built catamaran. Being fully covered from the elements and with a flat surface and no trip hazards like that of a yacht, you have room to move around and socialise with other guests. The shallow draft of your vessel allows you to circumnavigate Pioneer Bay from Mandalay Point to Cannonvale Beach while getting up close to the points of interest along the way including the ship wreck at Cannonvale Beach and a bit of turtle spotting within Turtle Bay. Take in a Whitsunday sunset as you enjoy a glass of sparkling and nibbles. As the sun sets and it turns from dusk to dark, enjoy the ambience of meeting new people and see the lights of Airlie Beach in the distance. Sundowner Cruise, Glass of Sparkling, Nibbles, Overnight Accommodation. Enjoy a leisurely day exploring Airlie Beach at your own pace. Visit faous Shute harbour or maybe take a swim in The Airlie Beach Lagoon, a man-made swimming area with a beach and a park. Island Hopping Cruise with Hotel Pick Up, Lunch, Hamilton Island Hop-On Hop-Off Tour, Overnight Accommodation. You have 3 choices of accommodation in Airlie Beach. Our "Good Standard" central Airlie Beach hotels have great facilities, a comfortable room and friendly service (typically 3.5 stars). Alternatively, why not treat yourself? The "Deluxe" hotels have superior facilities, stylish rooms and first class service (typically 4 stars). The “Luxury” hotels are upscale with a more luxurious feel for the discerning traveller and great for celebrating an anniversary (typically 5 stars). 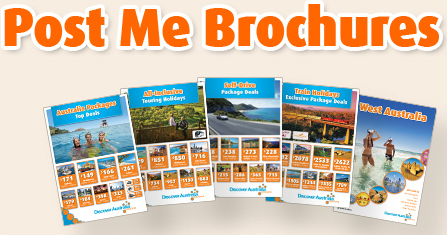 You’ll receive the FREE DISCOVER AUSTRALIA Bonus Voucher Book that includes $500 value of discounts and bonuses throughout Airlie Beach and Queensland at shops, restaurants attractions, wineries etc. It’s a great way to save even more on your Whitsundays holiday. The Whitsunday Essentials is very popular. 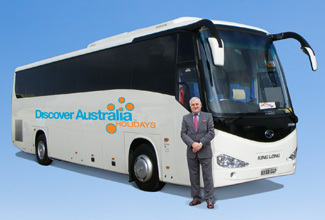 Many dates book out well in advance, please book soon.